To have sucessful growth of plants in a freshwater aquarium proper fertilization, lighting, co2, ph and substrate are necessary. We offer Freshwater planted aquarium supplies as well as saltwater reef supplies. 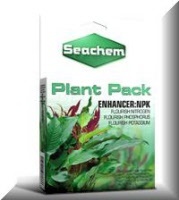 Check out the great planted aquarium supplies below. 20000 aquarium items for Freshwater and Saltwater Folks!